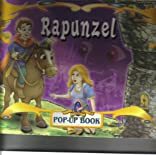 Rapunzel: Fairy Tales Pop-up Book was written by Creative Publishing. Rapunzel: Fairy Tales Pop-up Book was published by Creative Publishing International. A subject of Rapunzel: Fairy Tales Pop-up Book is Children's Books - 4-8 Years.